During his 5-day visit to Taiwan, Haitian president Jovenel Moise will visit the Taiwan Power Company, a state-owned electric power industry providing electricity to Taiwan and off-shore islands of the Republic of China. 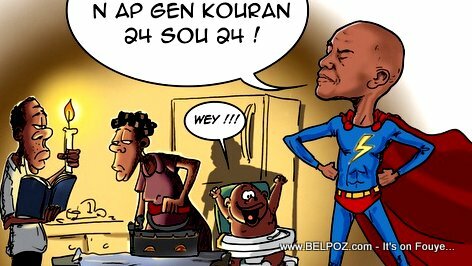 Haitian President Jovenel Moise promises electricity 24 hours a day to the people. "You know energy is one of the biggest priorities of President Jovenel," spokeswoman Tamara Orion said. "Today we want to come up with ways to harvest energy in Haiti from the sun." The president plans to learn some things from the Taiwanese experts to see how, out of the 800 megawatts of energy that Haiti needs, parts of it can be solar energy, the spokes woman said.